Product #31163 | SKU 02380R-3040-000 | 0.0 (no ratings yet) Thanks for your rating! 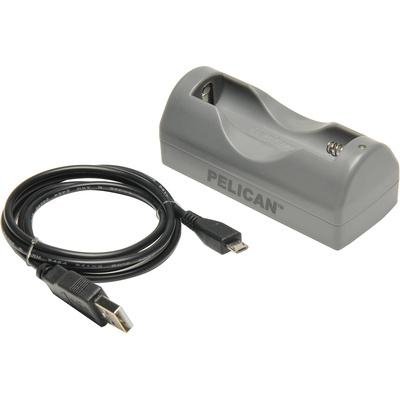 The 2386 Charging Kit for 2380R and 7000 LED Flashlights from Pelican includes a USB charger, rechargeable battery, and a micro-USB cable. The kit allows you to save time by charging your spare 2389 battery at the same time as the battery inside of your Pelican flashlight.